Constantly emerging security threats require dedicated attention and special expertise. Our cybersecurity team is equipped with experience, unique skills and leading industry certifications. We help organizations in both public and private sectors maintain secure systems. Preservation of confidentiality, integrity and information availability has never been more important. Our cybersecurity group is available on demand to protect your core mission. Thanks to our leading industry experts and our relationships with leading software vendors, Apextech is able to operate the most complex networks and IT environments. We provide you with best-in-class services, protecting your mission with the highest level of cybersecurity prevention, detection and response support. 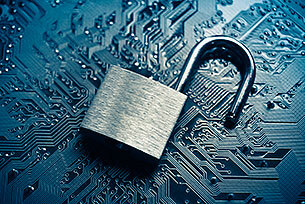 Apextech provides a full scope of security services (NIST, ISO, PCI, etc.) in support of the entire IT systems lifecycle. Our team has assisted a number of clients through the enterprise risk management process, performing risk assessments, information systems categorization, documentation, security controls selection, tailoring and implementation, as well as security assessments and continuous montitoring as part of the Risk Management Framework (RMF). Apextech helps you achieve compliance with security configuration requirements such as Defense Information Systems Agency Security Technical Implementation Guides (DISA STIG), United States Government Configuration Baseline (USGCB) and NIST’s National Checklist Program Repository (NCP). Our industry-certified experts can help you tailor secure configuration requirements to your needs. We assist with implementation as well as monitoring and reporting for non-compliance. We also develop compensating measures when security controls are not possible. Even the best prevention efforts cannot guarantee an incident-free lifecycle. Every organization must have a well-documented plan and be ready to respond when security incidents occur. Apextech helps organizations prepare to handle cybersecurity incidents by guiding them through an incident response planning process and by identifying and documenting necessary resources and procedures. We also provide forensic analysis and rapid response services to assist organizations in containing and recovering from cybersecurity incidents. Two separate but related processes play an integral role in the security operations of all organizations. Apextech meets the highest standards and requirements for both automated and manual vulnerability scanning, vulnerability analysis, remediation and mitigation. Apextech develops complete patch management solutions and can assist you with patch deployment, analysis and reporting. Inventory management is one of the most critical security controls. Apextech helps organizations actively manage inventories of both hardware and software on their networks. We bring experience with automated asset inventories, inventory maintenance, network authentication and access control. We work with you to develop automated solutions to prevent unauthorized software from execution on host networks. Additional services: Infrastructure security (network, web, facility, cloud and application), risk assessments, training and staff augmentation. Are you ready to make your organization more secure?